The design of this new garden incorporates the desires of the owners for a large lawn, masses of flowering plants and shrubs, a fountain, and a small seating area. 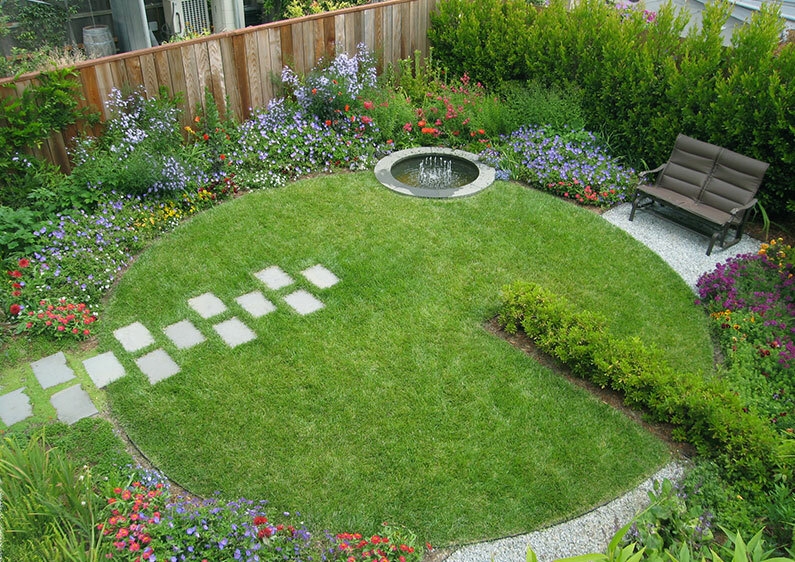 The circular lawn organizes the space and balances the other elements of the garden. Bluestone pavers, an azalea hedge and the round fountain in turn break the form of the lawn, adding dynamic movement to the design. SWLA worked closely with the owners on the selection of the plant materials, composing the design with plants that had been specifically selected by them for their flower color, shape and quality of foliage.